The prolific Gregory Kyryluk has been releasing albums as Alpha Wave Movement for over 20 years now, in addition to his Thought Guild, Open Canvas and other projects. 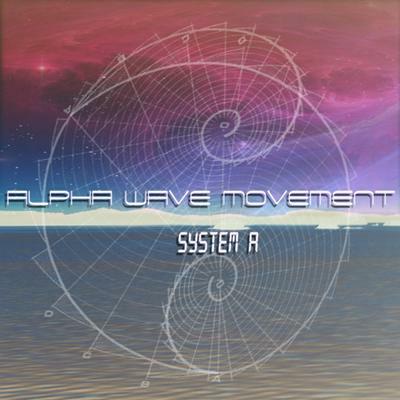 System A is the most recent of a handful of newer Alpha Wave Movement releases that Kyryluk shared with me, the first I’ve heard in some years (though Kyryluk has been continually active). Headphones are a must for this music. Cryptic Signals opens the set with rumbling drones that roll like waves against the shore, at times stopping for brief massage pulsations at the center of my brain. Light but heavenly soundscape waves sweep along accompanied by various howls and bleeping, bubbling effects, plus mission control voice samples transmitting from space. Theta Space creates a light cosmic melody that leads a parade of rushing wind, playful shooting star effects and drones, which soon develop into a slowly and meditatively grooving space tune. I like how Kyryluk deftly melds floating space electronica that creates the sensation of both aquatic and extraterrestrial realms, and a dreamily melodic and image inducing sort of cosmic ballet. Asymmetrical Freefall picks up the energy and intensity level, even rocking out a bit and feeling at first like a blend of Berlin school electronica and the robotic futurism of Kraftwerk, before taking on a more deep space orchestral soundtrack quality. I dig the symphonic and highly energetic Space-Prog with an IDM kick on Journey The Existential Plane. Omniverse reaches to the heavens for 16+ minutes of mystery and imagination, drone-symphonic, space-ambient and sound exploratory bliss. Kyryluk blends angelic orchestration with towering effects and serene melodies to create an inspirational yet playful sense of soaring freely but safely through the star strewn heavens. Finally, Dark Space Distant Islands Of Light closes the set on a darker note, creating the slowly droning and atmospheric feel of drifting on a massive space station. The drones are at the forefront and create tension as voice sample narration pops of intermittently. In summary, Kyryluk brings together a number of worlds, from Berlin school, to New Age, Space-Ambient, and more. Most important, he excels at freeing the mind to experience all sorts of imagery and sensations, which is exactly how I experienced System A.